We'll admit, at first glance these pants from Prairie Underground just look sort of weird. Then you get them on your body and you see why they are SO cool. They've got a slouchy fit thru the rise, with oversized pockets front and back, and an exposed button fly front closure. The pant legs go from relaxed and slouchy, to tapered with little gathers in the right places to give the leg a great fit. 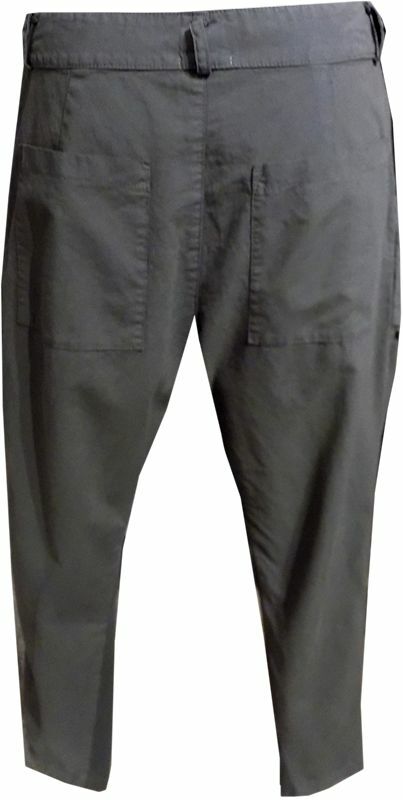 The overall affect is a super hip pant, that is very stylized and urban looking. Pair it with a little cropped white tee and a pair of punchy fun tennis shoes (maybe a pop red, or orange?) Really fun!